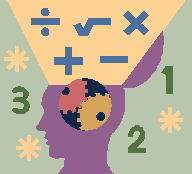 Why Use Math Brain Teasers? Brain teasers can strengthen vital math learning skills in students of all ages. In order to solve Brain teasers, students workout their brains by reading and thinking carefully! In other words, math brain teasers help students learn to be problem-solvers! A fun way to encourage critical thinking skills, logic and problem solving. They're great for motivating students of all ages and skill levels. They help kids experience math in a fun way that challenges them to move on to higher levels of mathematical thinking. Check out the links below to get a taste of some math to tease the brain. The first link will take you to our first brain teaser worksheet you can print off. And we'll be adding more on a regular basis. Math Teasers: Ready for our first math teaser worksheet? Print it out for your students to get them warmed up at the start of class or at the end before the bell rings. Either way, kids love them! More Math Teasers: These are a lot of fun for kids and adults! Print these off or work them right from your computer. Easy, Medium and Hard for grades 1 - 8. Are you Smarter Than A 5th Grader?" I have two US coins totaling 55 cents. One is not a nickel. What are the coins? One is a fifty cents piece and the other is a nickel. One is a nickel, but one is not a nickel. A great idea for a teacher or parent is to have a new brain teaser each week for your student or class to solve. If you are a teacher, parent, or student, and you want to Share one of your Favorite Brain Teasers with our many visitors around the globe, just fill out form below. Brain Teasers for Kids: Try a couple of these teasers and build logical thinking and problem solving skills at same time. 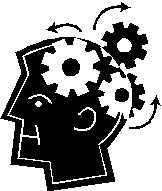 Logic Brain Teasers: Kids can improve their logical thinking skills with practice. Great for helping them do better at word problems. Brain Teaser Puzzles: Good for the brain! Think of it as working out at the brain gym. By stretching and testing the brain, those brain muscles grow. The more you practice, the better you'll get. Math Riddles: Here are some math riddles that will help give your brain muscles a little exercise. And yet more brain-teasers! Making math more fun and engaging is what this site is all about. Math Brain Teasers for kids are one of the best ways to get their minds motivated with math!